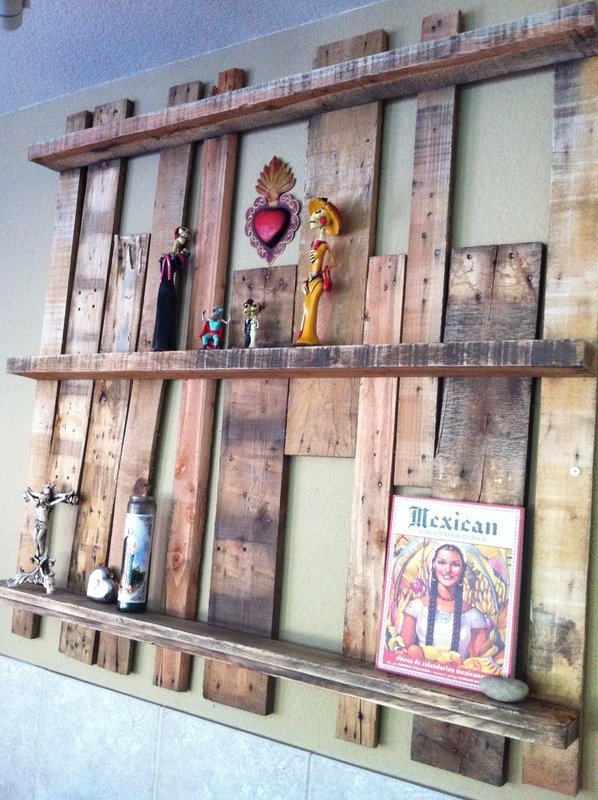 All the pallet projects on pinterest and various blogs has definitely got me wanting to stock up on old wood pallets for projects that I’ll probably never get to. We recently moved into our new home so you can imagine the long list of DIY projects I have (and keep adding to). One day my husband was working in the backyard for the first time and saw that the previous home owner had left behind an old dirty wood pallet in the side yard. He was not happy about this “trash” having been left behind for him to deal with. I heard him complaining about it and immediately ran over to the side yard to take a look at this “treasure”. 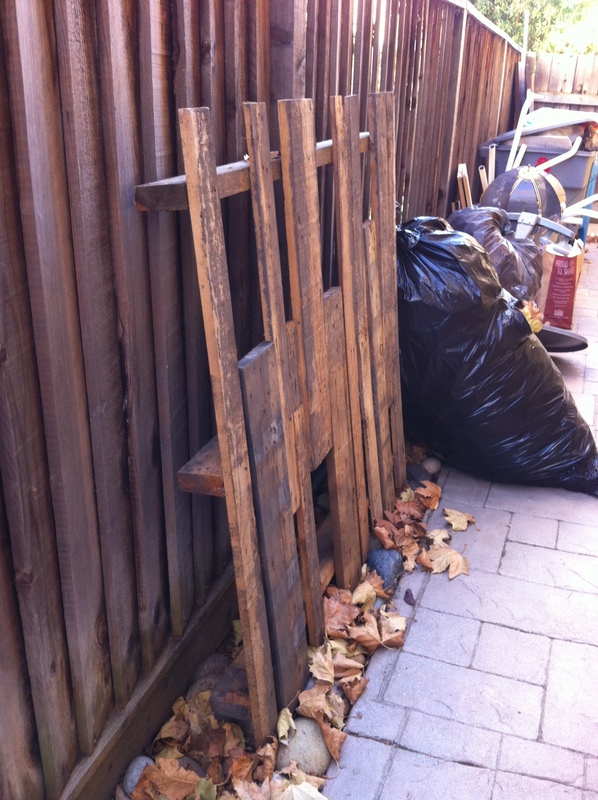 There it was, covered in dirt and surrounded by dry leaves, my own wood pallet! I knew exactly what my plans would be. The fireplace in our living room had no mantle and the blank wall above it left me longing for something visually pleasing. After researching mantles for sale I quickly realized it would not be the smartest use of our remodeling budget. Once we found the pallet (or should I say the pallet found me) I knew the underside would make a perfect shelving unit to display some of my favorite items. The boards were old, re used, and all different lengths giving it that rustic country look. It took some cleaning, sanding, and sweet talking my husband into the idea. But once it was up, it was perfect. The dimensions fit exactly almost as if though the pallet was made for the purpose of being on that wall. 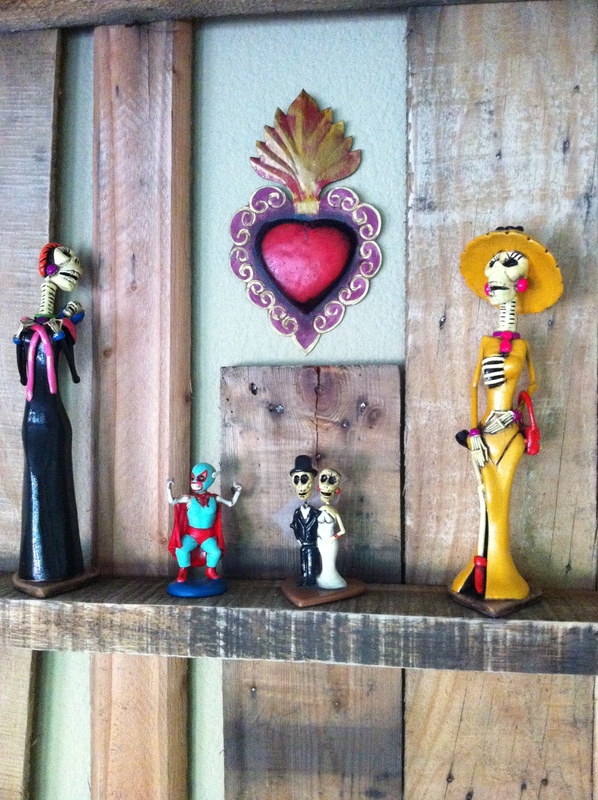 I had a collection of Day of the Dead figurines I had not found a home for….until now. The pallet is the perfect display for my collection.